Volunteers are critical to the success of Frisco Family Services. The agency offers a wide variety of opportunities and invaluable experiences for volunteers. We welcome groups and individuals to join us as we work together to make a genuine difference in the lives of the people we serve! To schedule group volunteer activities, please email volunteer@friscocenter.org. As a volunteer for Frisco Family Services, you can choose how often, and in what capacity you would like to work with the agency. Below you will find a list of volunteer opportunities currently available. 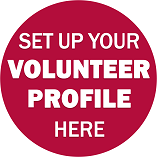 Volunteer age requirements: You must be 11 - 15 years old to volunteer with an adult who has completed orientation class, and 16 - 17 years old to volunteer independently with a completed orientation and parental permission (a signed parental consent form). Children ages 4 - 10 years old and accompanied by an adult can participate in our Little Hands opportunities created just for them. Corporate & Group Team Building - at our Food Pantry, Resale store, Community Garden, Seasonal Events, Summer Lunch Program or conduct a donation drive at your location. Click here to read stories from some of our volunteers. THANK YOU for gifting us with your time, talents and resources!